Several key areas of expertise - with innovative designs in each - keep OBEC on successful track. 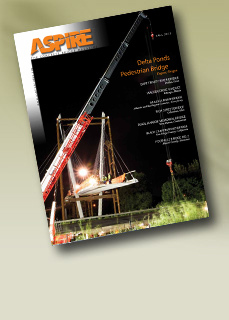 A design-build, precast concrete, spliced-girder bridge solution. Widening of the Garden State Parkway. The Scioto River gets a ribbon for Columbus's 200th birthday. Signature bridge replaces its aging namesake. A functional solution in an environmentally sensitive area. Filling in the "missing link."